West of Hell just dropped their latest video “The Machine” starring yours truly! 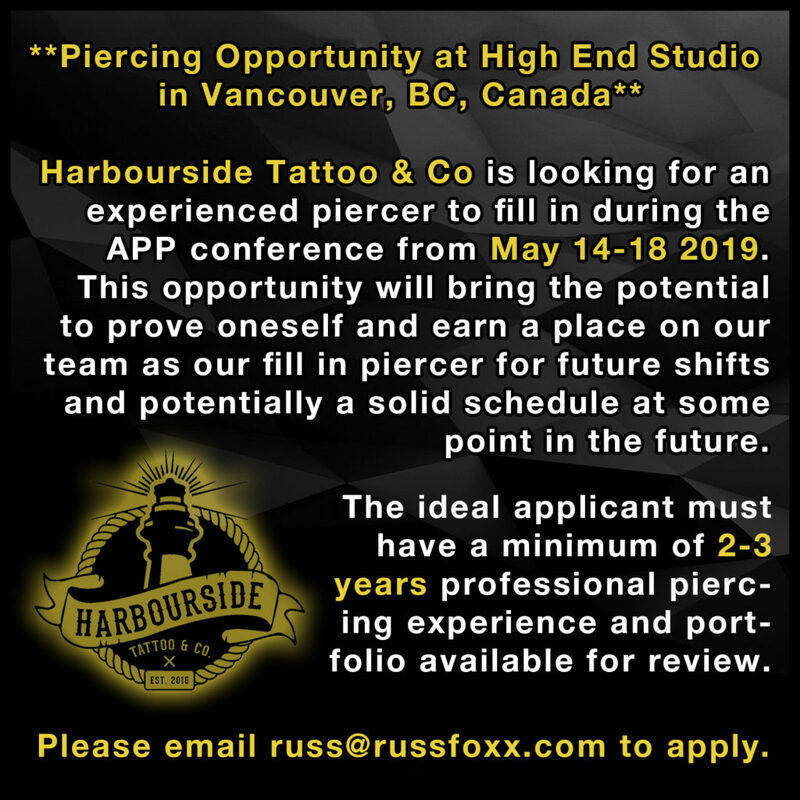 Harbourside Tattoo & Co is looking for an experienced piercer to fill in during the APP conference from May 14-18 2019. This opportunity will bring the potential to prove oneself and earn a place on our team as our fill in piercer for future shifts and potentially a solid schedule at some point in the future. 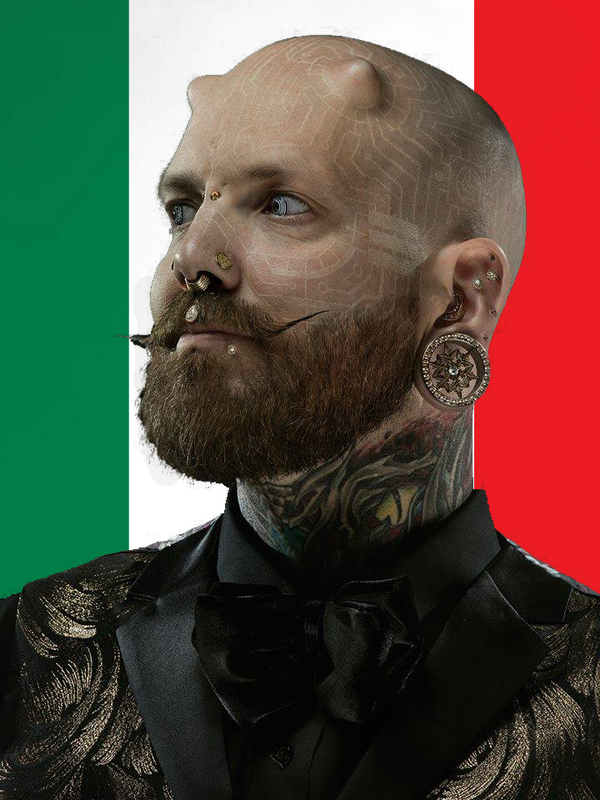 -Only carry and use hand-made jewellery manufactured by the highest caliber manufacturers in the industry such as Alchemy Adornments, Anatometal, Auris, BVLA, Diablo Organics, Ganesha, Gorilla Glass, Industrial Strength, Infinite Body, LeRoi, Maria Tash, Maya, Neometal, Quetzalli, Symbiotech, Tawapa, Tsar, Zadamer and more. The ideal applicant must have a minimum of 2-3 years professional piercing experience and portfolio available for review. Please email russ@russfoxx.com to apply. 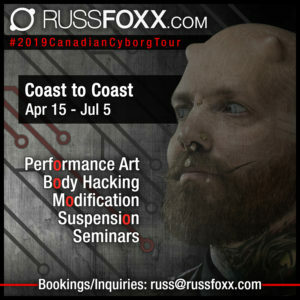 The #2019CanadianCyborgTour is now LIVE! 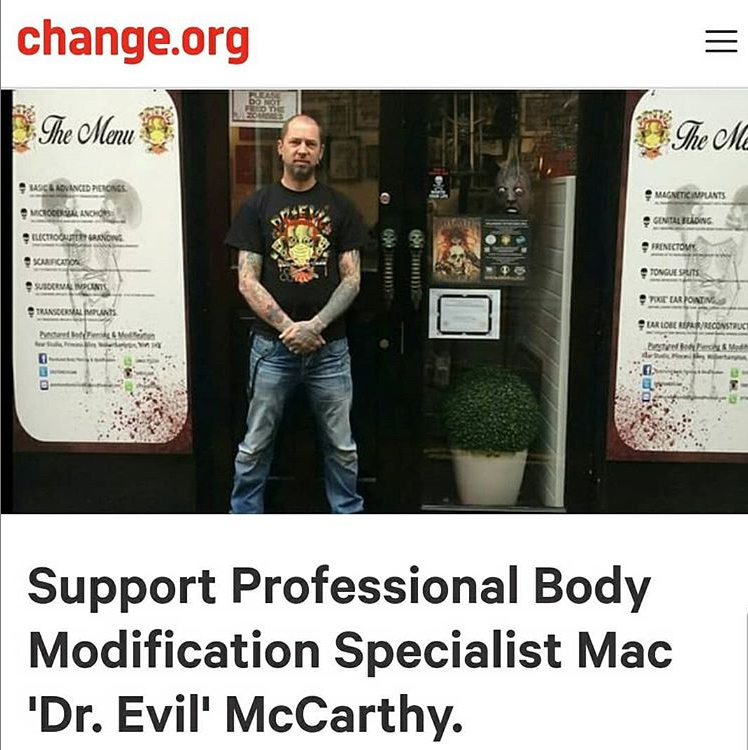 Body Modification is Under Attack in the UK! You Can Help! If you care about body autonomy and your right to modify your body, please sign and share this petition! This affects us all! Si le importa la autonomía del cuerpo y su derecho a modificarlo, ¡firme y comparta esta petición! I will be in Mexico from Feb 14 – Mar 7. During that time, please reach me by email rather than call or text. What once was, will be no more. 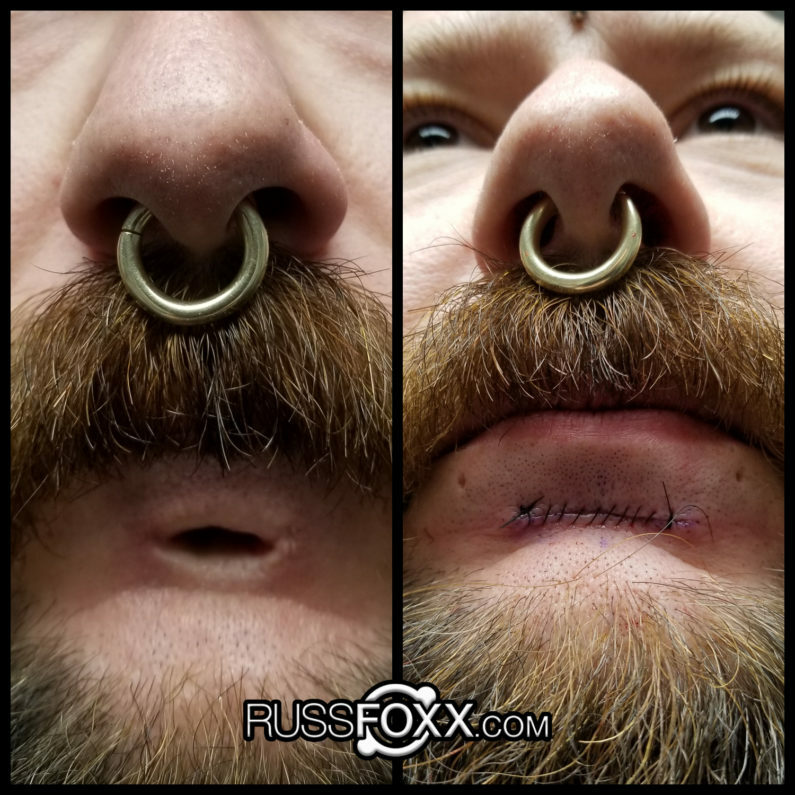 A large labret reconstruction from the other day. Enjoy! Envíe un correo electrónico a russ.registro.mx@gmail.com para obtener información, precios y reservas para mis seminarios. 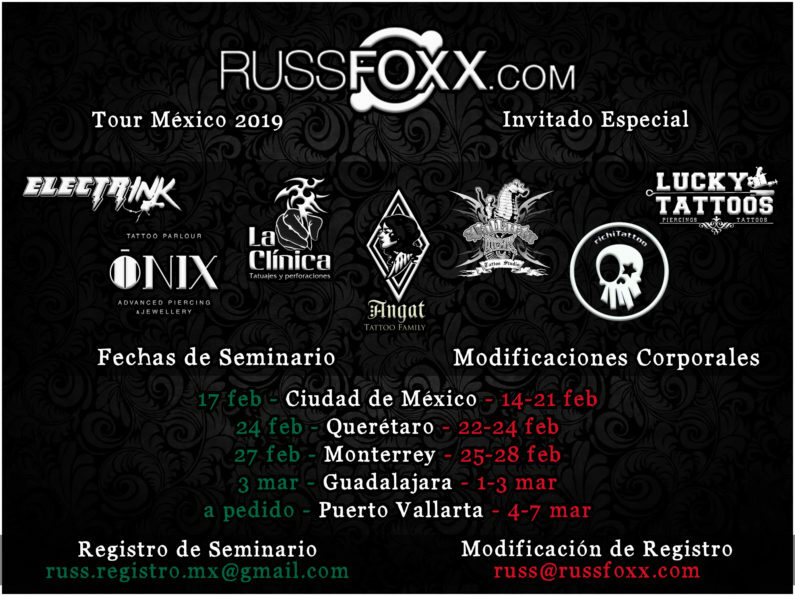 Envíe un correo electrónico a russ@russfoxx.com para programar cualquier modificación o suspensión del cuerpo. Please email russ.registro.mx@gmail.com for information, pricing and bookings for my seminars. 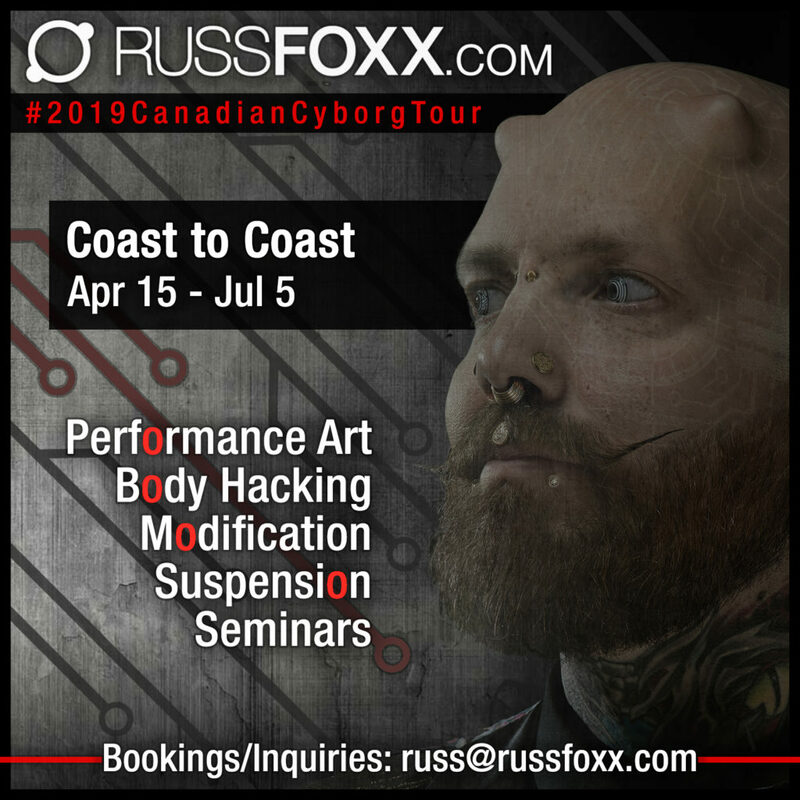 Please email russ@russfoxx.com to schedule any body modifications or body suspensions. I’m Coming For You, Tokyo!